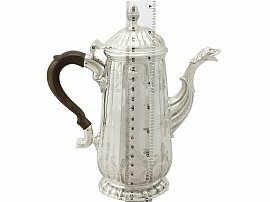 This exceptional antique George II sterling silver coffee pot has a tapering cylindrical shaped form onto a domed spreading foot. 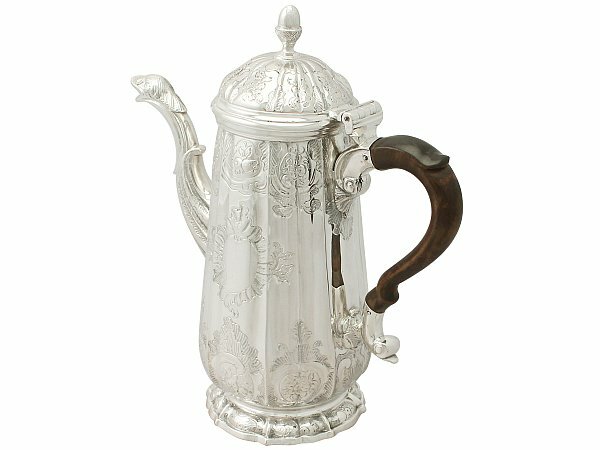 The upper and lower portion of the vertically fluted body of this silver coffee pot is embellished with flat-chased pendant panels displaying shell, leaf and floral decoration in the rococo style; this style of pot, in addition to the variation of flat-chased decoration reflects characteristics of items crafted by Pezé Pilleau. 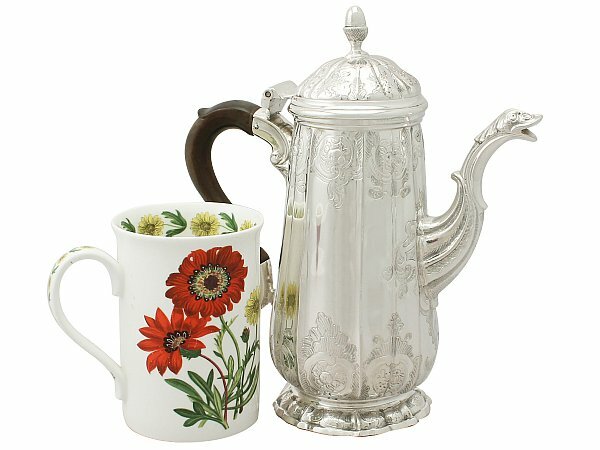 This coffee pot retains the original hallmarked domed hinged cover surmounted with a fine and impressive cast sterling silver acorn style finial. 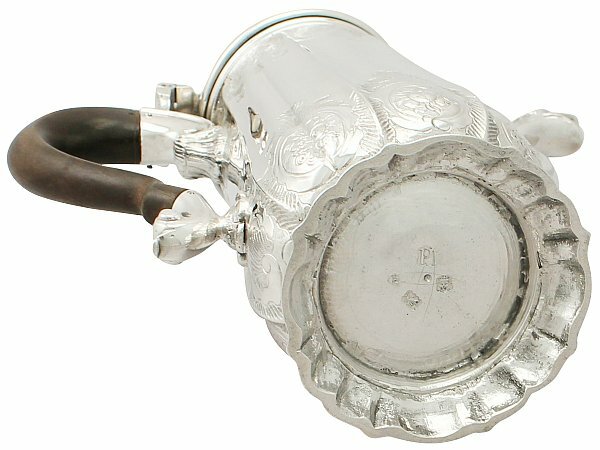 The fluted cover is embellished with further flat-chased floral and leaf decoration. 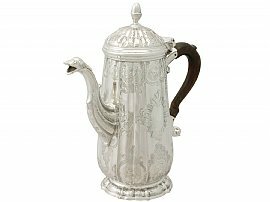 The coffee pot retains the original opposing scroll pear wood handle with an impressive scrolling lower terminal and impressive cast leaf decorated sockets. The shaped circular spreading foot is encompassed with flat-chased foliate decoration with an applied moulded border to the rim. 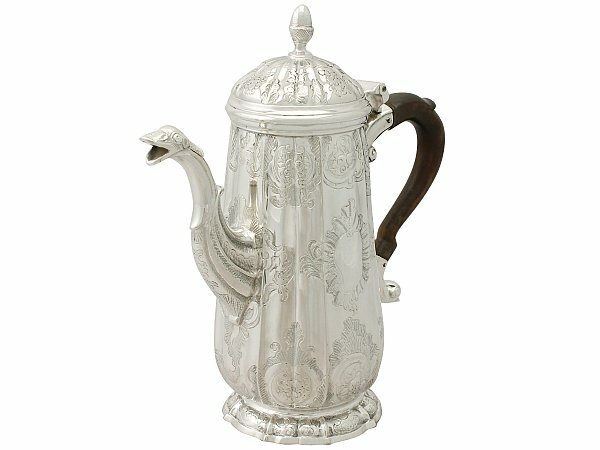 This Georgian coffee pot has an impressive cast swan necked spout embellished with flat-chased leaf textures to the lower portion and in junction with the body, in addition to a bird's head decorated terminal. 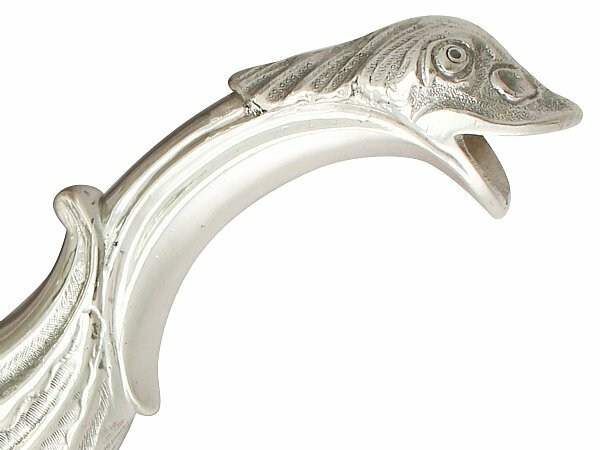 This exceptional example of silverware, crafted by the London silversmith John Pollock, is one of the finest examples of its type you could hope to acquire. This antique coffee pot is an exceptional gauge of silver, exceptional quality and in exceptional condition. The interior of the coffee pot has been professionally cleaned and is ready for use. 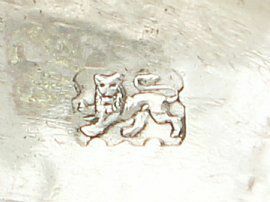 The flat-chased and cast decoration is all very crisp and sharp, in keeping with age. 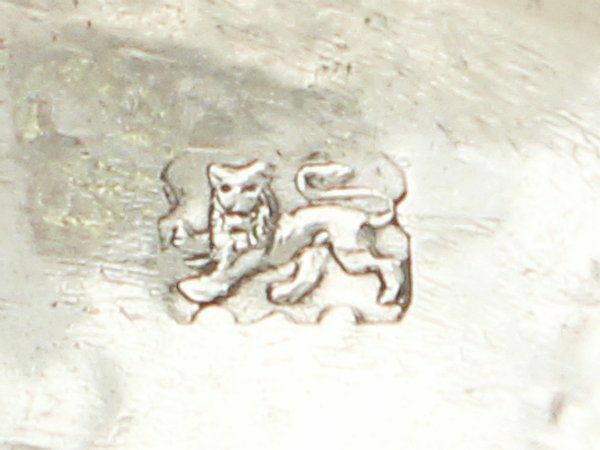 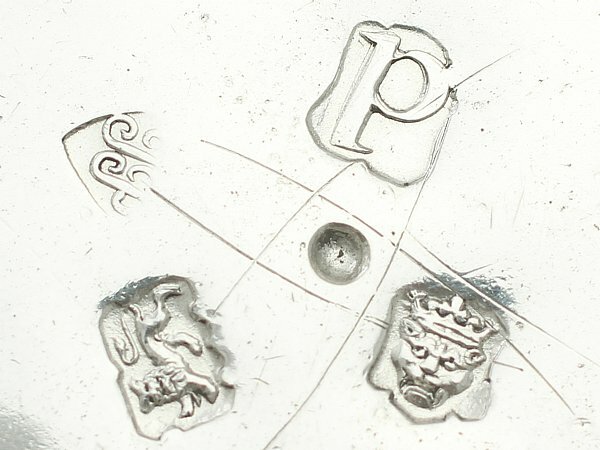 Full hallmarks struck to the underside of the coffee pot and lion passant to the interior of the cover are all very clear. Length from back of handle to tip of lip 18cm/7."" 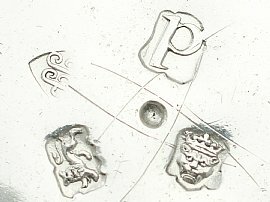 Height to top of finial 19.5cm/7.7"